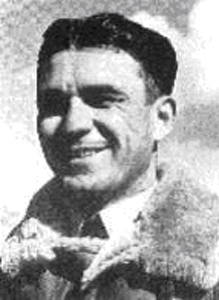 The picture shows Jindřich Bartoš who flew in the Battle of Britain with No 312 (Czechoslovak) Squadron. By the time he came to England he had already seen action in the Battle of France with Groupe de Chasse I/3 with whom he scored one victory over Paris in June 1940. He was to give his life in the defence of North West England.